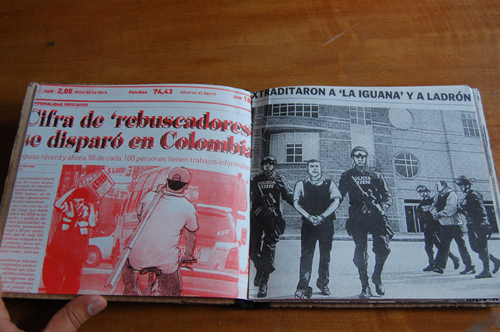 Here’s some news I’ve been meaning to post for some time about an artist I met in Bogota called Lorenzo Masnah. 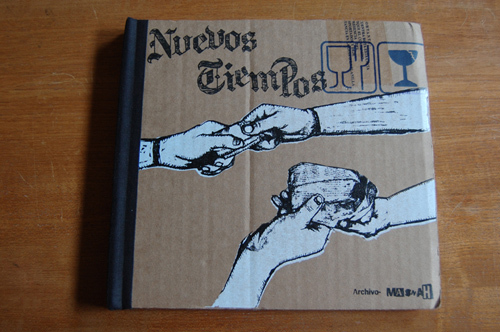 Some weeks ago I managed to get hold of one of his self published books called Nuevos Tiempos. 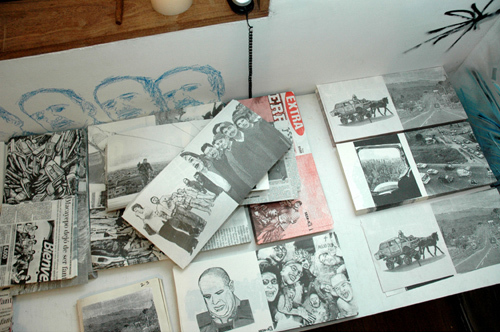 He held his first solo show in his apartment in Bogota to launch the book. 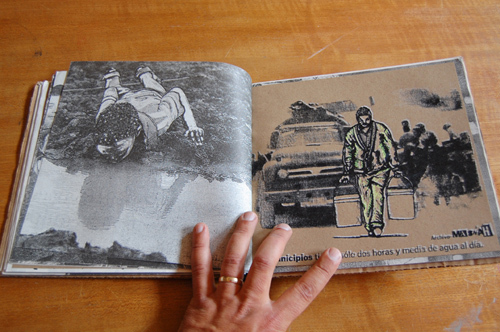 The book is handmade with a cardboard cover while the pages inside feature drawings based on newspaper images which are hand screenprinted. 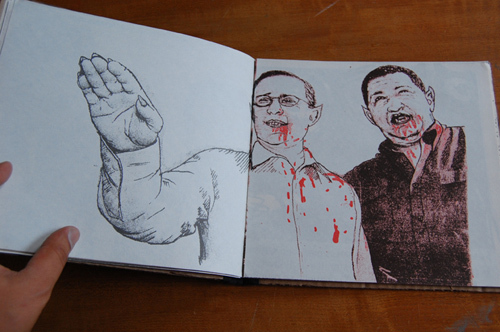 The subject matter is quite raw and politically charged. 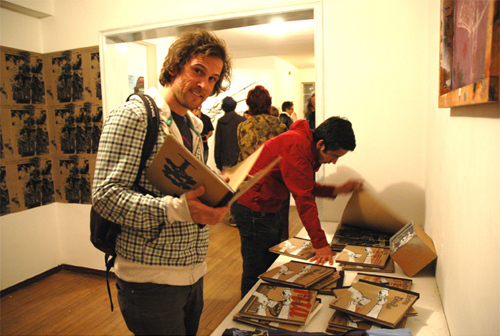 The books are an edition of 115 – so far some famous folks, such as Shepard Fairey and Martha Cooper, have bought copies. For a copy contact the artist.